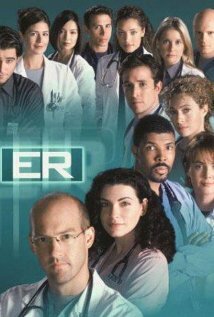 It's safe to say that fewer medical shows might have been greenlit by the networks without the mega success of this hospital drama that debuted in 1994 and continued to pull in NBC's best ratings until the series finale in 2009. The initial cast included Noah Wyle, Eriq LaSalle, Sherry Stringfield, Anthony Edwards and George Clooney before he broke out in movies. Along with Clooney, the show's biggest breakout star in its early run was Julianne Marguilles, as Nurse Carol Hathaway (a character who dramatically attempts suicide in the pilot episode), who soon was promoted to the regular cast. Set in a fictitious ER ward in Chicago, the show differs from other medical dramas in its non-stop intensity and intelligent array of characters. The show had a rapidly changing cast roster over the fifteen years of the show's run but the caliber of the performances was consistently strong. At various points, John Stamos, Maura Tierny, and Sally Field all joined the cast. At 331 episodes, the show is the longest-running medical drama in TV history The show was created by the late best-selling author Michael Crichton. Although Crichton is more closely linked to his novels, E.R. was perhaps his most personal work because Crichton initially had his heart set on the medical field and drew from his experience earning a degree from Harvard Medical. Crichton originally wrote the screenplay to ER and intended it as a film twenty years earlier. It wasn't until after the film version of Crichton's novel Jurassic Park became a mega hit, that Steven Spielberg took the project out of development stasis and produced it as a TV show. 21 September 1995 - Season 2, Episode 1: Welcome Back Carter! 12 October 1995 - Season 2, Episode 4: What Life? 16 May 1996 - Season 2, Episode 22: John Carter, M.D. 6 February 1997 - Season 3, Episode 14: Whose Appy Now? 18 December 1997 - Season 4, Episode 10: Do You See What I See? 8 October 1998 - Season 5, Episode 3: They Treat Horses, Don't They? 22 November 2001 - Season 8, Episode 9: Quo Vadis? 25 September 2003 - Season 10, Episode 1: Now What?